...GRANDISSON OFFER A FULL STOVE SERVICE FOR CLIENTS. Come instore, meet our experts and we'll arrange a free home visit. We're proud of our installation service, we are Hetas & Gas Safe registered. At Grandisson we offer a range of services relating to your stove. Whether you are in need of a new one and an installation or you need a full stove service, we can carry this out for you. Our team are happy to come out and visit your home to carry out a free assessment of your stove. What is included in the stove service? Our dedicated stove servicing vehicle carries a wide range of spares, accessories, replacement firebricks, door ropes and seals, which can be quoted for and replaced at the time if necessary. 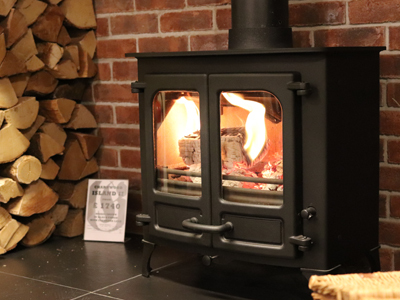 Don't wait until the Winter when it will be too late, get your stove serviced in the Spring and Summer months so it's ready for when you need it. IN NEED OF A FULL STOVE SERVICE? Our expert team at Grandisson are happy to arrange a free home assessment if you are in need of our services.